Footloose in India: Thank You Stranger, my belief in humanity is still Intact because of you! Thank You Stranger, my belief in humanity is still Intact because of you! It was just yesterday evening when I was getting back home from office. 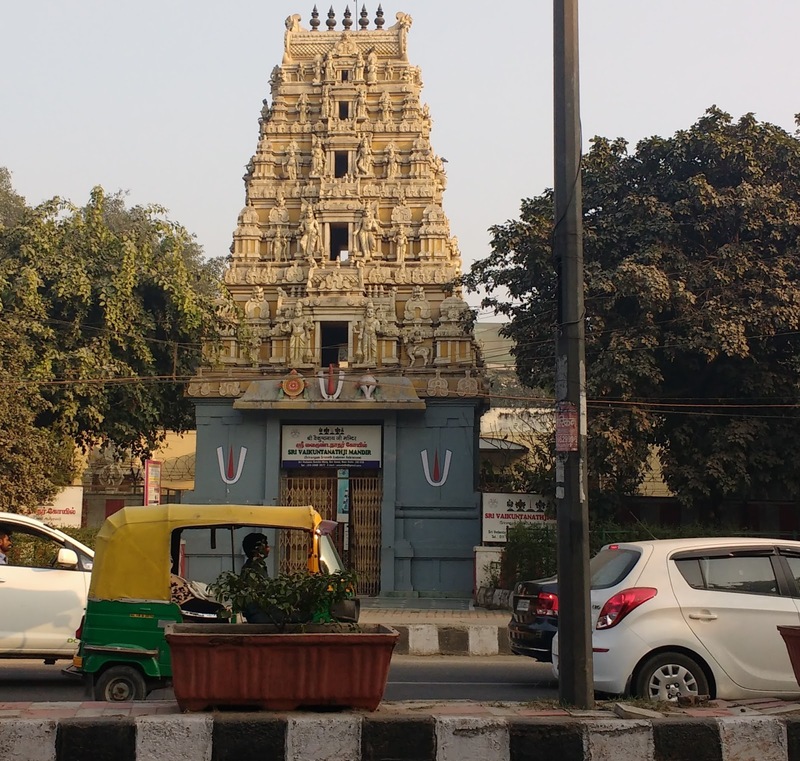 I got down from the auto and tried crossing the busy street to get into my colony near the Vaikunthnathji Temple at Bersarai. The road that goes to Vasant Kunj through Bersarai is always a very busy one! Especially in the evening when people are coming back from their offices, there is a continuous flow of vehicles on that road. So, yesterday as usual, I somehow maneuvered half the stretch because there is a traffic light just behind. And during the red light phase as some vehicles were held up there, I darted out before the freeway guys came rushing past. Now I was in the middle of the road and standing on the divider. It was the second road leading to the traffic light I had to cross that was on a continuous haul. As I was waiting there, I saw a car slowing down right before me and I thought that this is my big chance. I started to cross but soon realised that I would not be able to, as the car seemed to be in a hurry and I backed up to let it go. I kept looking at that car that passed me probably with a forlorn eye. I heard some honking sound as I stood there and I jerked my head around to see the driver in the car that was coming right behind was waiting and honking at me frantically. I was scared. I thought I had done something wrong and took a step back. Then I saw the guy who was driving that black car agitatedly waving his hand to say I should cross the road. I looked across the car and saw cars coming at full speed from all around. I knew that even if I cross his car, I will get stuck in the middle of the road. So, I waved back at him to tell him he should keep going as I could not cross. After sometime when I crossed the road and got into my colony, I realized I had a very happy sensation about me. I don’t remember the face of the person in the car, nor the make of the car. I just remember that it was a black car probably going to Vasant Kunj. But it made me happy. I was also equally sad that I could not even say a thank you to that person by way of gesture. Everything had happened so suddenly. On Delhi roads, this kind of a gesture is rare or rather unheard of! Every one is dashing through and wants to get to their destination as quickly as possible. Nobody wants to wait and there is no consideration for another person either. I was happy that a person was ready to wait for another person to cross the road. It was a very small thing but that realization and happy feeling was with me for a long time. And I felt that all is not lost still. Spreading happiness doesn’t cost you anything. A simple smile and a simple gesture is enough! Through this blog, I hope to reach that stranger and say Thank You!. Even if I could not say anything at that moment, I have wished him well in my heart. Whoever you are, wherever you are - the dark Knight in shining armor - Do well, be blessed and lead a wonderful life! Tree of Life or Tree of Enlightenment?